Opel's top labor leader says he aims to reach a deal on German jobs with the company's management before Christmas and says Ford Motor Co.'s decision to close three factories and cull 5,700 jobs in Europe will not serve as a blueprint for General Motors' European unit. Opel works council Chairman Wolfgang Schaefer-Klug says he expects upcoming cuts at the money-losing carmaker to be far milder. Mass-market carmakers Ford, Opel, PSA/Peugeot-Citroen and Fiat all expect heavy losses in Europe over the next couple of years as painful economic reforms across the continent send demand plummeting to levels not seen in nearly 20 years. GM has said it expects to lose between $1.5 billion to $1.8 billion this year in Europe after its third-quarter losses in the region widened to $478 million from $292 million a year earlier. The automaker plans to cut $500 million in costs in Europe between 2013 and 2015. This year, GM Europe's fixed costs are expected to be down by about $300 million, the company says. 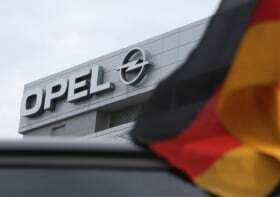 As part of a plan to slash costs, Opel will cut 2,600 jobs in Europe by the end of the year and shutter its plant in Bochum, Germany, in 2016.